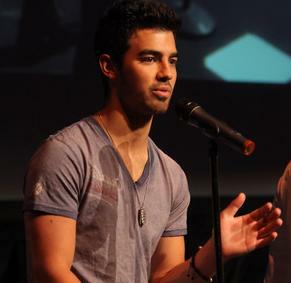 The surprise for Joe Jonas happened while Jonas Brothers performed a show in Hershey, Pennsylvania. Kevin and Nick acknowledged their sibling’s big day onstage. The crowd sang “Happy Birthday” while Kevin’s wife Danielle and a female friend brought out a birthday cake. Joe wrote on his Twitter that the show was amazing.